Barefoot mama making babies and a homestead in the heartland. 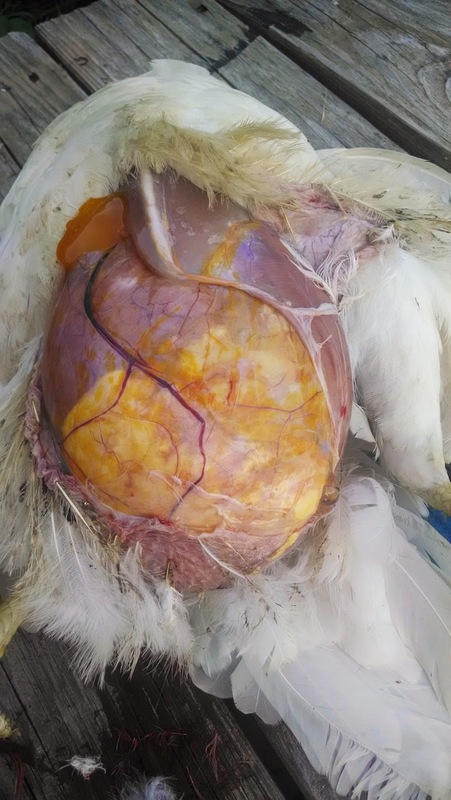 Chicken with egg bound in oviduct. I had this leghorn chicken. She laid big white eggs last year. Last fall she molted and stopped laying eggs. No problem. Then this spring she never laid another egg. I was confused and a little ticked off. 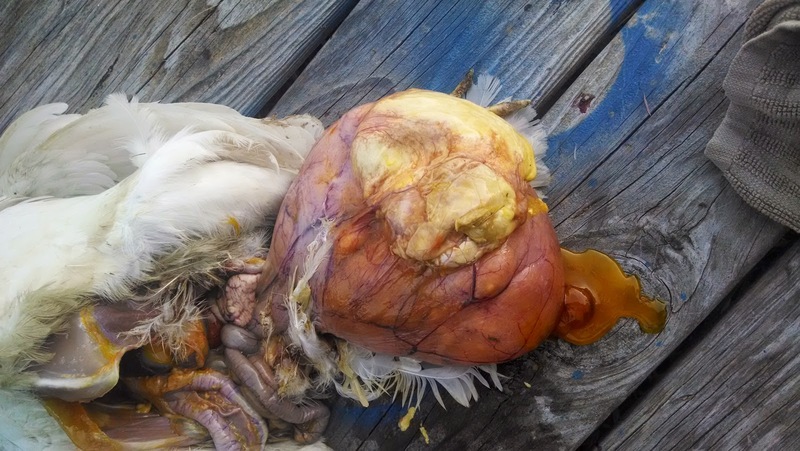 This hen acted 100% normal! She ate fine, ran, foraged and everything. Fast forward to July. 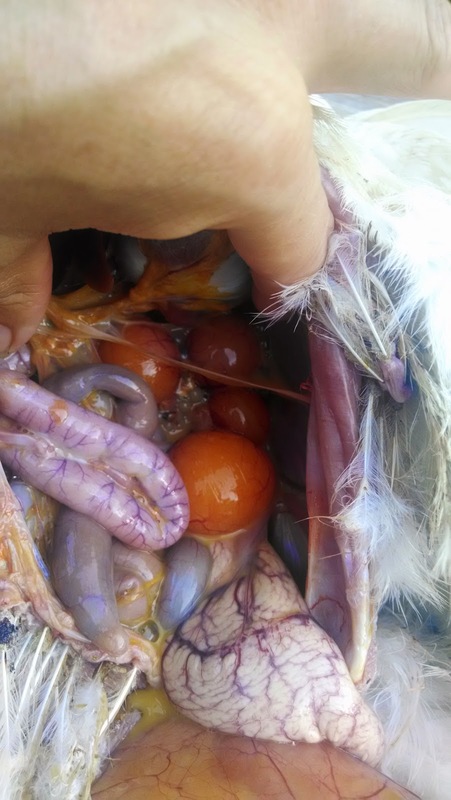 We catch them to move them into our chicken tractor and we notice her abdomen is enlarged. I immediately think she is egg bound. Google and Backyard chickens tell me the chances are slim. Even if I succeed in helping her she will most likely do it again. We decided not to waste our time since she hasn't laid the entire summer. Her fate is decided. Last evening we caught her again and her abdomen was so distended that her skin was splitting. In this picture you are looking at her from the back. 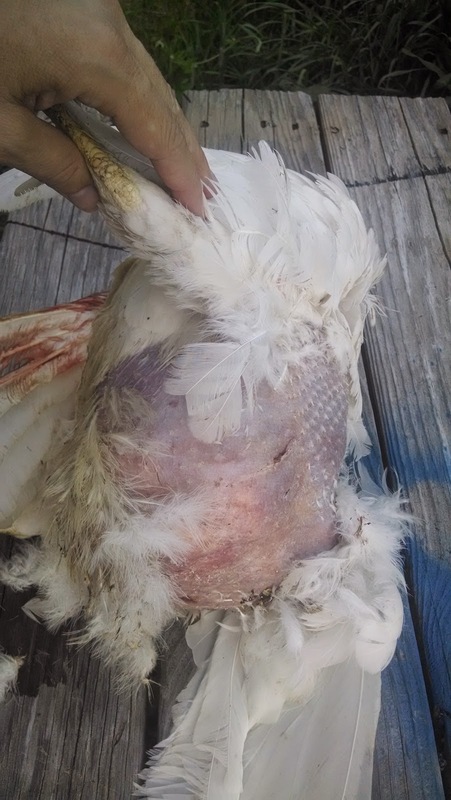 You can see that her skin is so stretched the it looks like she has no feathers. I am holding her leg, the other is under her. I carefully removed the skin layer and here is her abdomen. What do you think that yellow stuff is at the back? I bet you are right. 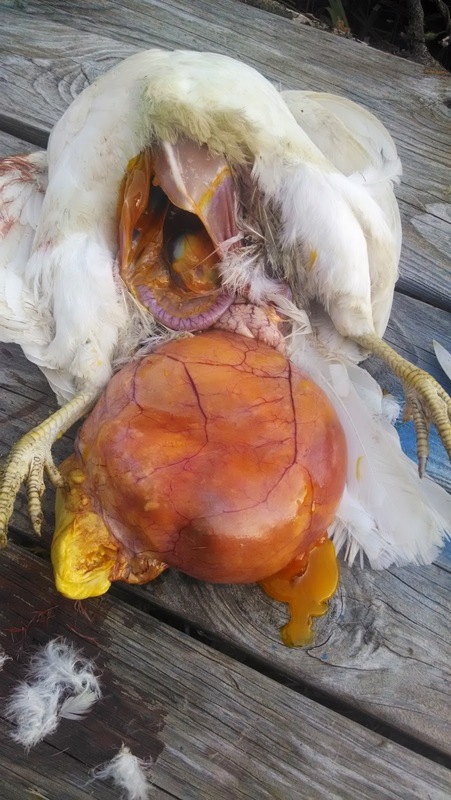 This entire sac here is her ovary or the chicken equivalent. 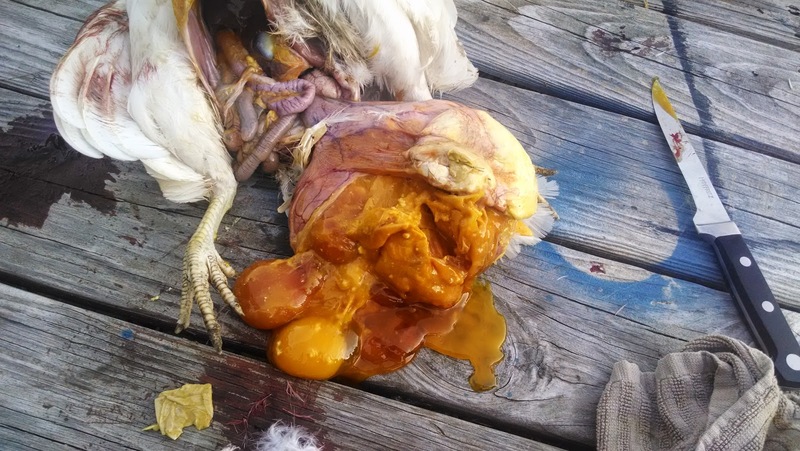 The dark yellow is egg yolk that has actually cooked from body heat. A better picture of the sac. You see the tube on the left, that is her oviduct. The eggs should have went down it, and made shells right at the end of it before she laid them. These eggs never made it past the yolk stage. Here is a look inside her body cavity. More weirdness. They look like eggs but are attached to her body walls. Finally I opened the sac and confirmed it was full of egg yolk and cooked masses of eggs. Possibly she some of the masses are cysts that caused the blockage to start. So there you have it. Chicken science lesson 101. I am only sorry I didn't know this was happening to my bird earlier. She was acting 100% fine except not laying. I am glad she didn't appear to be suffering from this, although I think we were at that point soon. I guess it has been a really long time since I used this blog. I thought I would give a quick up date. 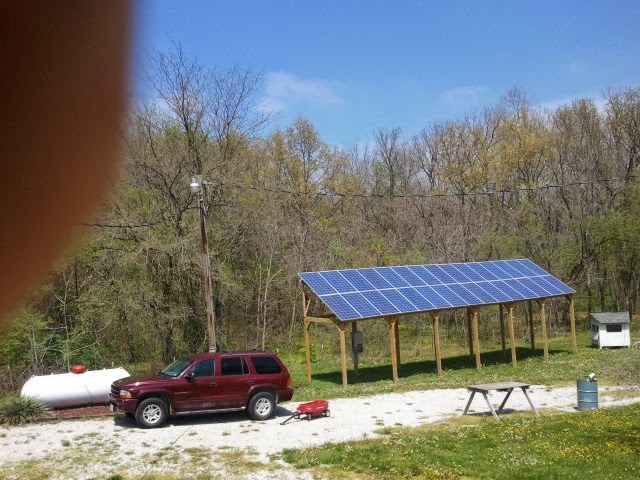 We finished the Solar last August. That is when all the electrical and everything was finally installed and complete. We flipped the switch in August and have been enjoying it every since. This year in May our bill was $35.00. Then in June $69.00 that is with the A/C running and everything. 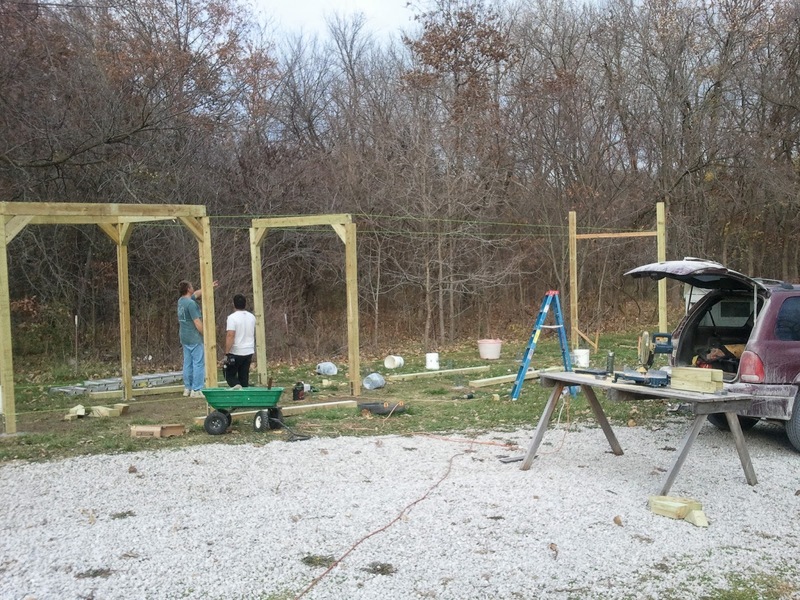 So phase one of the solar project was getting the frame up. 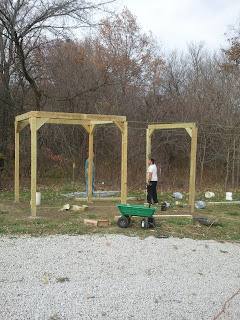 Then we had to put up the support frame. These are heavy 4x6 post about 8 feet tall. Then you gotta put the panel supports up. 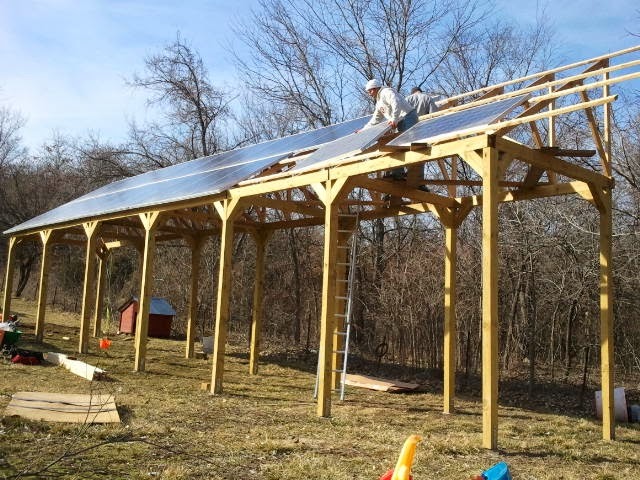 Then you can finally put panels on. Oh yeah!! 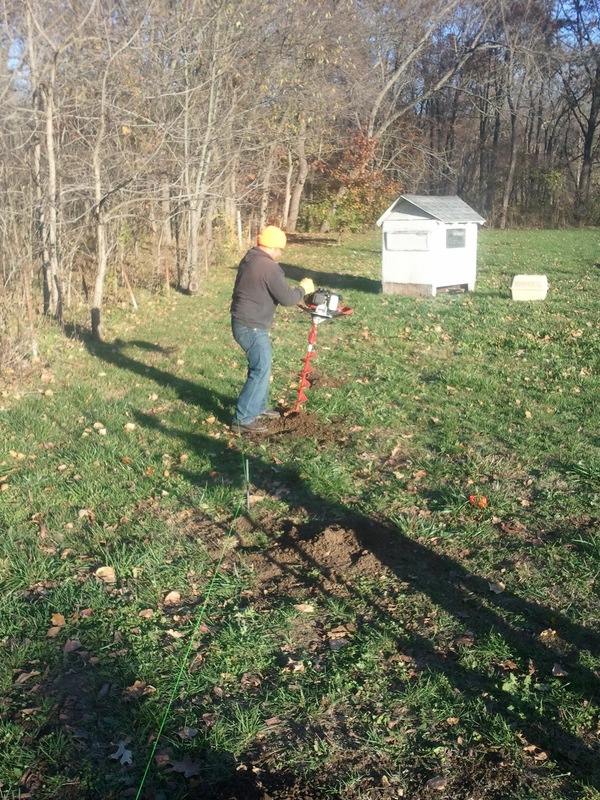 We have been so busy this fall that I haven't really had time to update this old blog. I thought I might get it going again since we have some fun stuff going on. 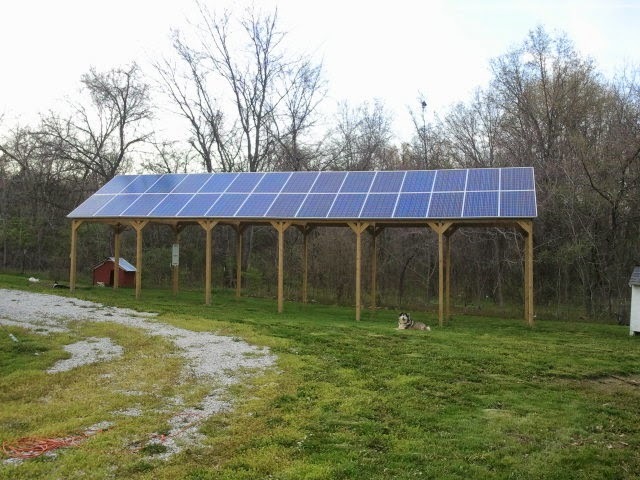 We are upgrading to solar panel electricity for our house. Part of this upgrade includes trying to get our home more energy efficient in general. 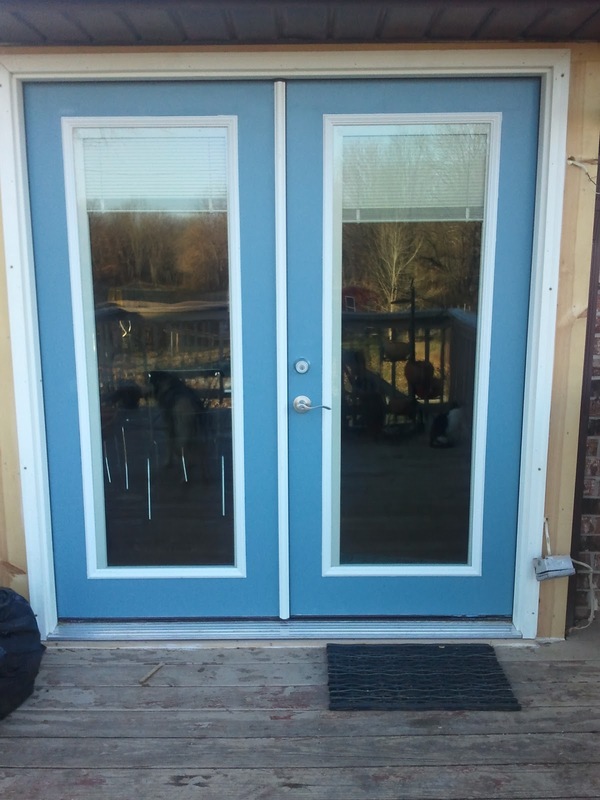 We replaced our windows over a year ago and it was finally time to do the deck door. 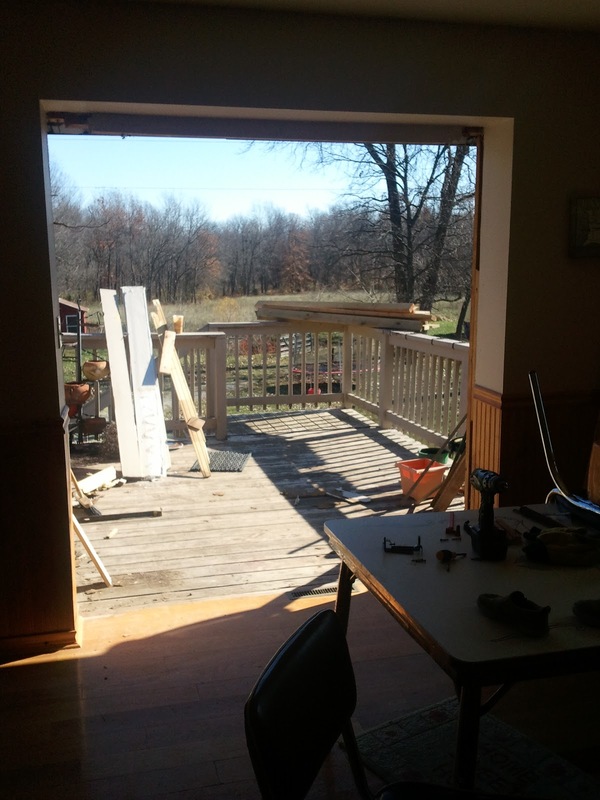 It was an old sliding door that really leaked hot and cold air. We upgraded to a french door that has built in mini-blinds. LOVE IT! Giovanni is 7 months old now (almost 8!) it is going by so fast. I can't believe he is so mobile and funny! He can sit, crawl and stand! Loves to nurse and we call him the Pterodactyl because he likes to shreech! He loves to take a bath and play in water, so this summer should be pretty fun for him. He is such a happy baby. We are really blessed to have him in our family! Giovanni is six months old. He can now sit up alone, crawl and he has 2 bottom teeth! He loves to eat real food and will eat about anything. He is so smiley and funny. He has got to swing at the park a couple times and he loves it. He loves to hear his sister sing. If we are in the car and he cries she will sing. He usually stops crying. Its very sweet. All of our poultry babies are growing fast. I don't know if I will ever get tired of taking pictures of chicks. It's kind of like taking pictures of human babies. They change so quickly that you just want to capture it! This first picture is our future egg layer babies. We currently have 7 hens and these 11 girls and 1 boy will be added soon. They are ready to move to the chicken tractor and start eating grass. Next up is what I like to call "Bowling balls with legs". I think this photo sums up how round the meat chicks look. 4 weeks and approximately 2 pounds already. WOW! Here is another shot with the Turkey in it. Introducing our new friends, the Ducks! They are Welsh Harlequin Ducks and supposed to be very friendly and great egg layers. The yellow billed ones are the boys and the dark billed ones are the girls. They are fun already. They make such cute quacking sounds. Last but not least, our garden. We have already harvested radishes. We have 24 tomato plants, 8 eggplants, lots of bell peppers, hot peppers, kale, lettuce, green beans, herbs and soon sweet potatoes and okra.